We, Sanmati Mascot Exim, established in the year 1992, are one of the leading manufacturer, supplier & distributors of a wide range of supreme quality Boards & Tiles. 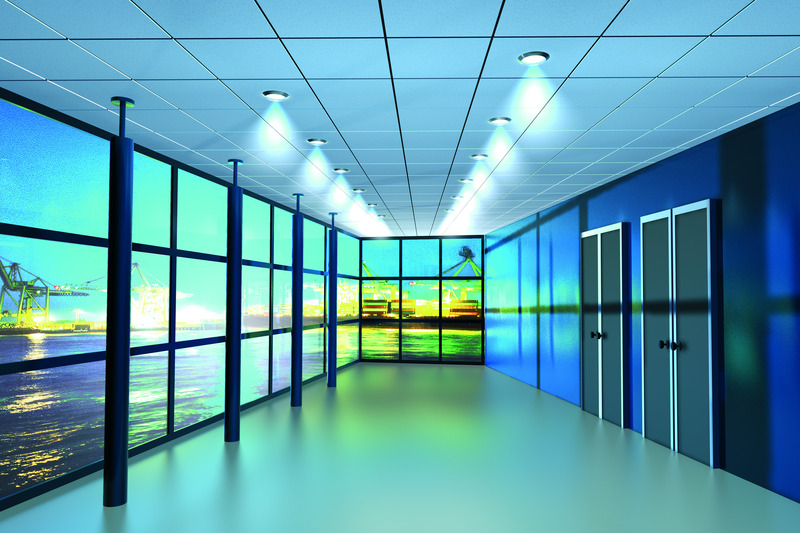 The product offered by us is consists of Gypsum Plaster Board, Calcium Silicate Board and Mineral Fiber Ceiling Tile. These flooring and tiles are procured from trusted vendors of the industry, to ensure high standards of quality. In addition to this, these flooring and tiles are known for their smooth finish, trendy design, easy installation and appealing appearance. For the purpose of designing these tiles and flooring in compliance with prevailing market trends, our vendors make use of latest crafting tools and equipment. Furthermore, we are engaged in offering excellent Installing and Designing Services to our esteemed customers. In order to effectively execute these services within the assure time, our professionals make use of advanced machinery, tools and equipment that are based on latest technology. Owing to our rich vendor base and spacious warehousing unit, we have been able to cater to a huge clientele across the domestic markets of India. For maintaining the best possible quality, we have set up a huge and well-equipped in-house quality testing unit. Owing to our excellent distribution network, we have been able to deliver the offered products within the assured time frame at the customers’ end. We were established as a private limited company and currently operating under the expert supervision of our mentor, Mr. Akhil Jain. His skills and knowledge has helped us in attaining a remarkable position in this domain in such short period of time. 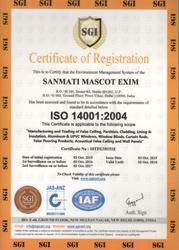 We are Specialized in Ceiling Systems, Decorative Acoustical Ceiling & Wall Panels, Suspension Systems, and Integrated Ceiling Systems, Sanmati Mascot Exim has achieved respectful awards and membership, as our company Got many certification like ISO 9001:2015 for our quality management, customer centric approach and ethical business practices. We have been able to gain a remarkable position in this domain in such short period of time. We are also certified with ISO 14001:2004 for Environment Management System which shows that our products has been assessed and found to be in accordance with the requirements of Green Building. Since our inception, we are supported by a team of skilled professionals. They are trained at regular intervals of time through seminars and workshops. This training helps our employees to enhance and polish their technical skills as per the ever-changing market requirements. In addition to this, they work in close proximity with each other to avoid a hassle-free range. They hold expertise in their area of operation and are selected through rigorous selection procedures after completely assessing their skills, knowledge and experience. The customer-centric approach implemented in our company has helped us in catering to the needs of our valuable patrons in the most organized and efficient manner. Moreover, the prompt delivery of the offered product range coupled with offering our customers with multiple modes of payment and our ability for meeting the bulk orders have help in gaining a remarkable name in this domain. In a zest to attain maximum customer satisfaction our logistics professionals assure timely delivery of the offered products at the customers’ end. 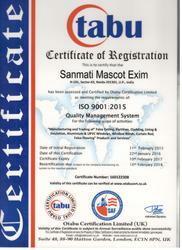 We, Sanmati Mascot Exim, have emerged as one of the prominent retailers of best in class flooring and tiles products. Being a quality conscious organization, the premium quality of the offered products is maintained through various quality assurance checks conducted by our team of quality controllers. Owing our customer centric approach and ethical business practices, we have been able to gain a remarkable position in this domain in such short period of time. Keeping in mind the budget constraint of our customers, we offer them easy modes of payment.